Love the screen. - Where does it come from? Similarly, this screen adds a healthy dash of Chinoiserie to this traditional room. It also enlivens a dead corner and creates a good spot for intimate conversations. 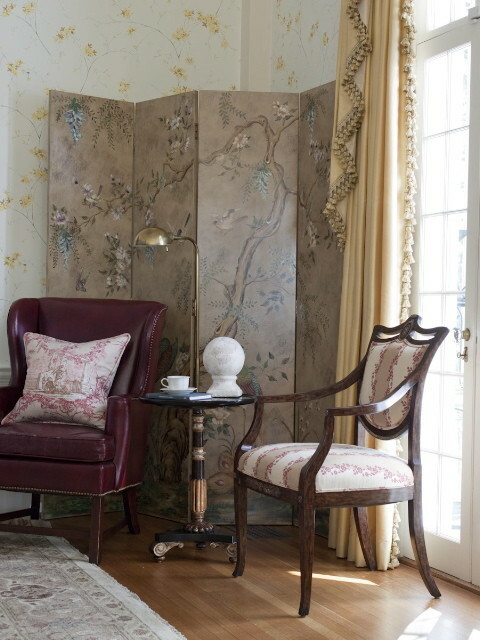 Similarly, this screen adds a healthy dash of Chinoiserie to this traditional room.